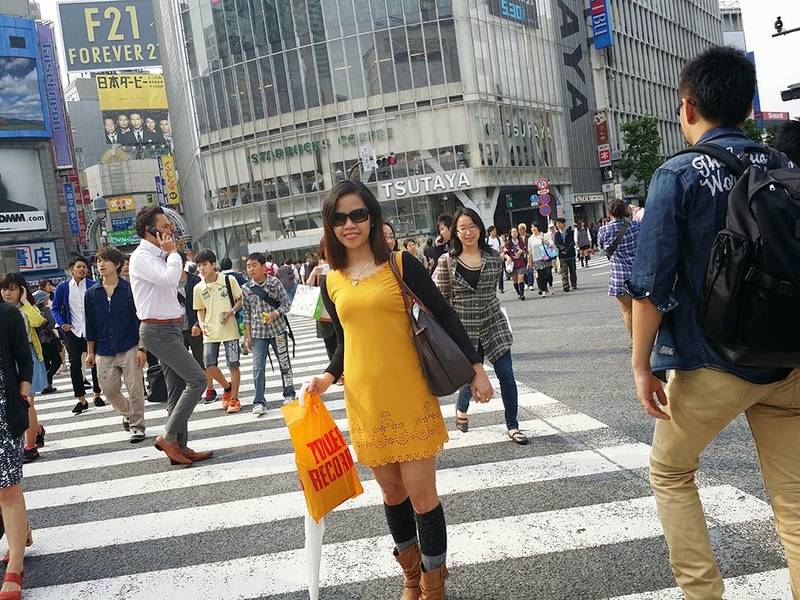 From Takeshita Dori, my guide Kumi and I walked to Omote-sando, the Champ's-Elysees of Tokyo or Greenbelt area of Makati =)). We passed by a no soup ramen store, which is the trend these days, too bad that I was sooo busog to try it. When I saw the big, yellow, Tower Records sign, I asked my guide if we can enter inside. Of course, she agreed. I was really excited to go to Shibuya as a CNBLUE fangirl because they have spent their indie days playing in the streets of Shibuya and Shinjuku. I asked the receptionist for "CNBLUE?" and she said that it's on the 5th floor. If I remember correctly, the entire building is for Tower Records only and it has 8 floors! Shibuya branch is said to be the biggest music store in Japan. When we reached the 5th floor or the Asian section, I spotted the isle for CNBLUE, during that time they're promoting the "Truth" mini album. 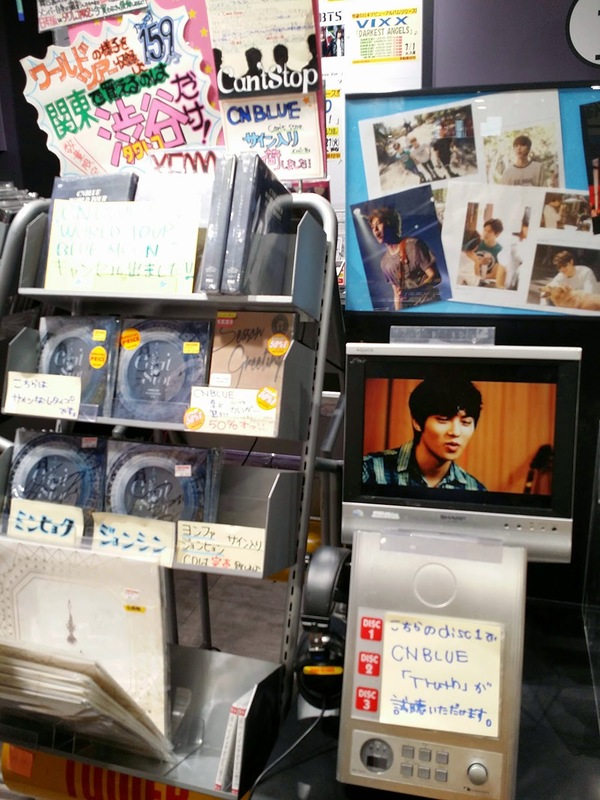 It's so good to be a Japanese Boice, this band releases Japanese albums every 3 months or so! 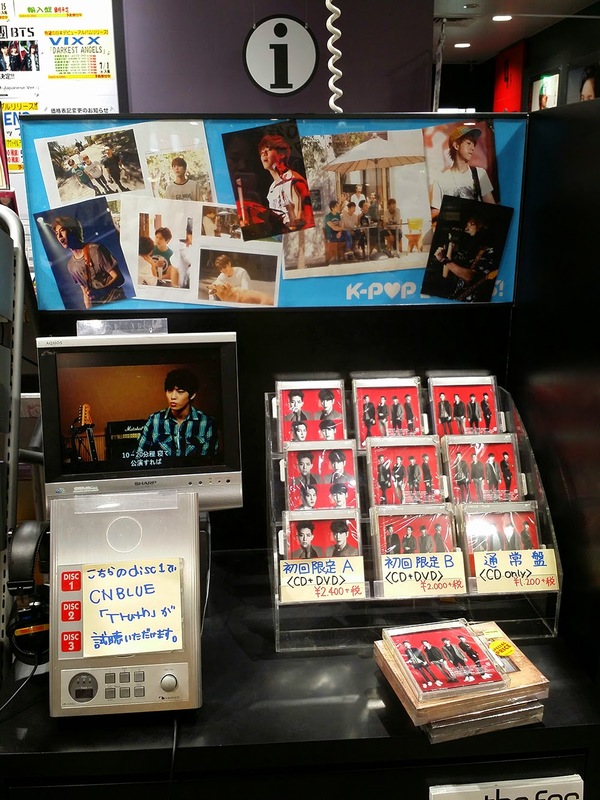 CNBLUE has a lot of Korean and Japanese albums plus live concert DVDs! I've spent more than 30 minutes in choosing which should I buy! I was supposed to buy 1 but when I computed, its cheaper than the album price in Manila. My 60 year old guide, Kumi, was scoffing me that "oh, you like k-pop boyband!" I had to outburst "they're a band, they write their own songs!" =)) I always liked their Japanese albums but I've went out of the store with their 2 latest Korean albums, Re:Blue and Can't Stop plus the "Japan Best: Present" compilation album. Its expensive to be a fan girl! After 30 minutes or so of leisurely walk in Aoyama-Dori, we finally reached Shibuya's world-famous pedestrian crossing. Just like in the movie "Lost in Translation", its surreal to be with the sea of humanity and walk on the coolest intersection while under the neon lights and big video screens. 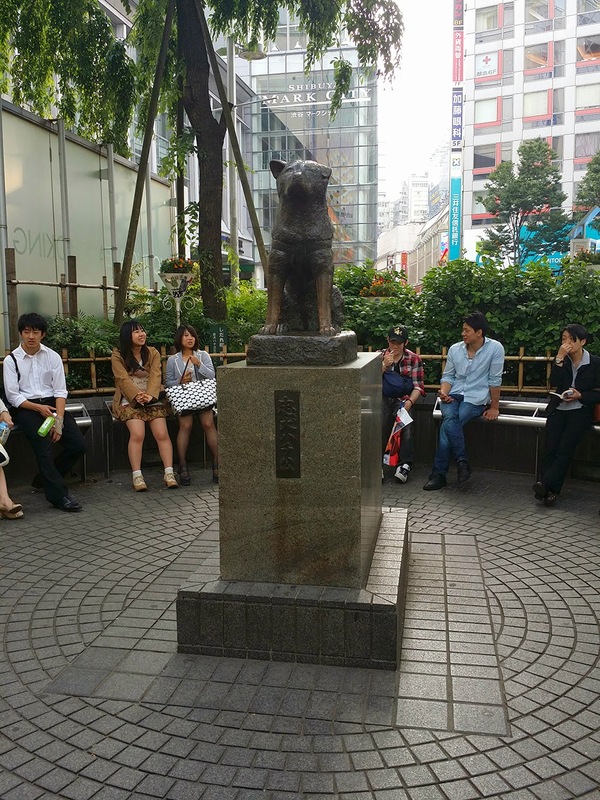 No trip in Shibuya is complete without visiting Hachiko's statue. The movie about the most loyal dog, Hachi, is the only film to date, that my guys friends admit they shed tears to. After spending 6 hours together, my guide and I agreed that its time for me to explore Shibuya! I was supposed to go to a cafe that prints 3D models but I ended up shopping in Uniqlo. Yes, we also have this store in Manila but I've found their "Omiyage" or Tokyo souvenir collection too cute! With my pocket wifi and Google maps on hand, I tried searching for that cafe again but my feet was already protesting. 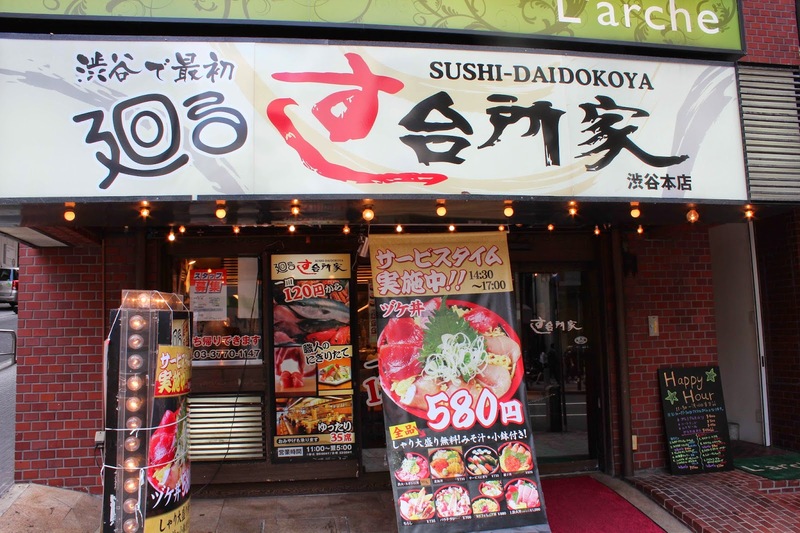 I saw this rotating sushi restaurant and I finally gave up on my 3D cafe saga. My sister and I always wanted to eat on this kind of restaurant but its not very popular in Manila. I think there's one in MOA but its too far from our place. I automatically sent this photo to my sister thru Viber. 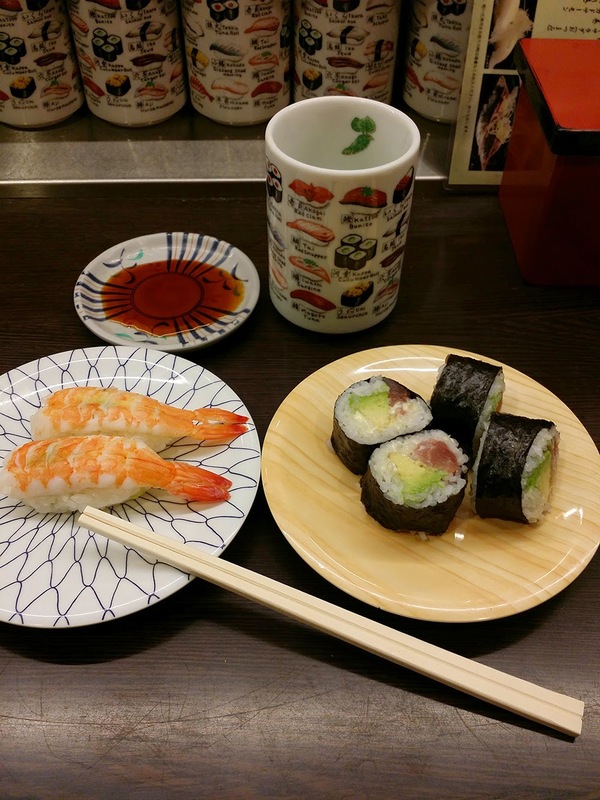 I was still full from the Tonkatsu meal in Harajuku so I only ordered this massive ebi/shrimp and avocado sushi. 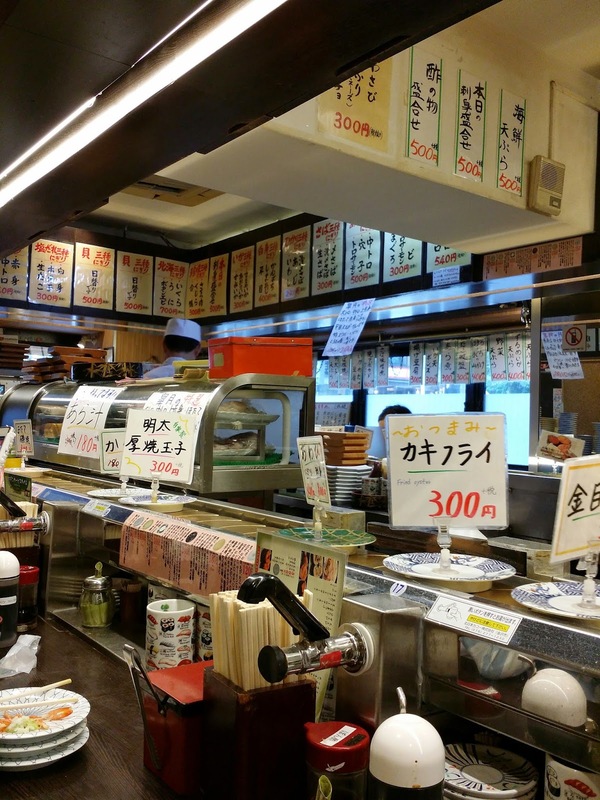 I love the details on the mug, sushi overload!